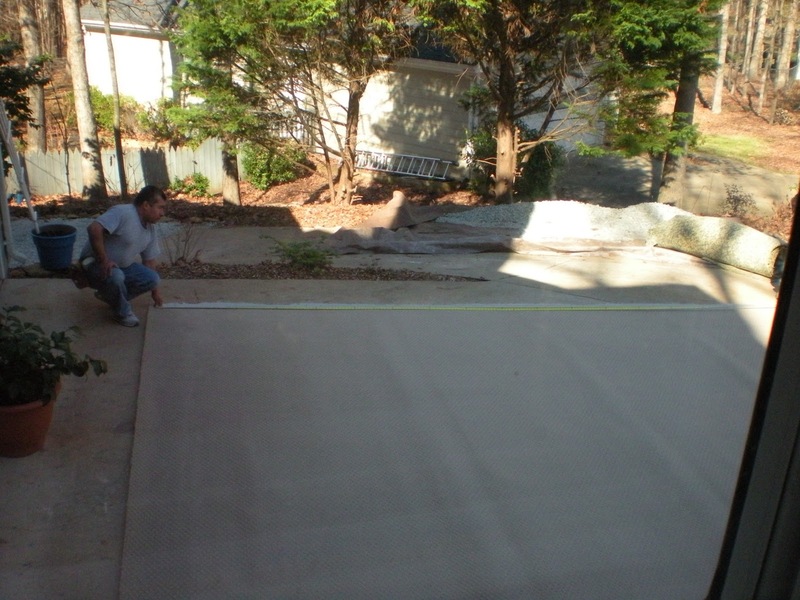 Laying out the new carpet- they blew off the driveway before starting. 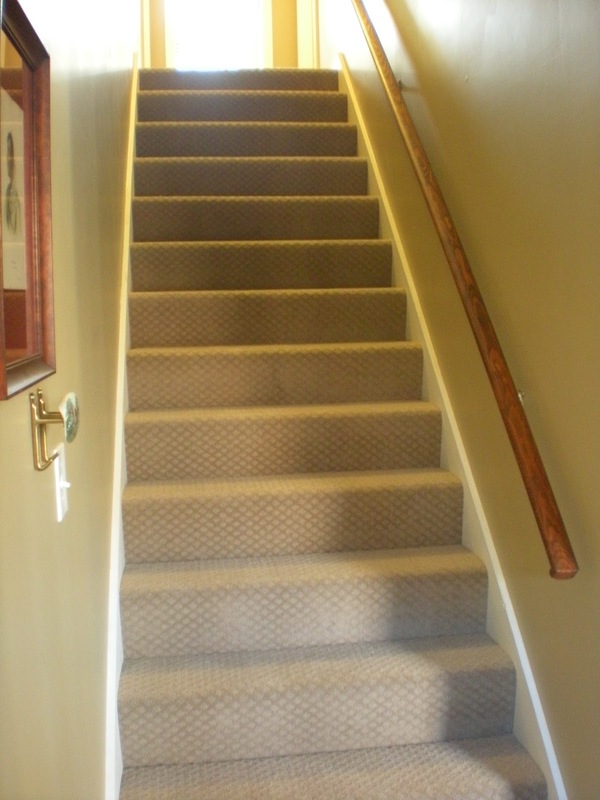 Once they cut up the carpet they rolled it up and carried it up the stairs- maybe I need to become a carpet layer and get super buff? The stairs all done!! Not 5 minutes after I snapped this photo, the cat ran up and tried to use it as a scratching post- if I catch her doing that again I’m chopping her legs off (not really, but seriously cat- you have your own scratching post)!! Ahhh- it looks so great. The color is perfect and it’s so squishy and clean!! 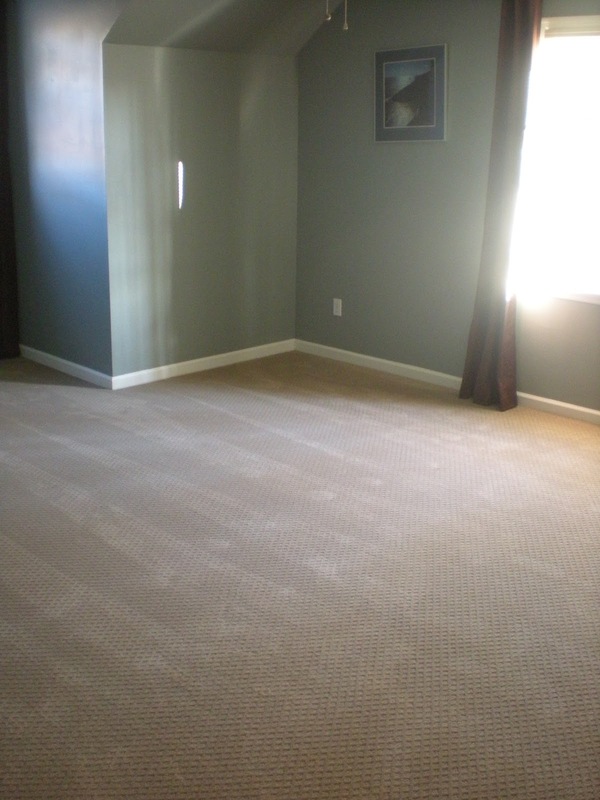 Now I just have to go around and re-paint all the baseboard- this carpet is a lower profile than the other carpet so there’s some unpainted spots showing now- oof. My least favorite thing to do. Based on this photo, can you tell what’s happening soon? 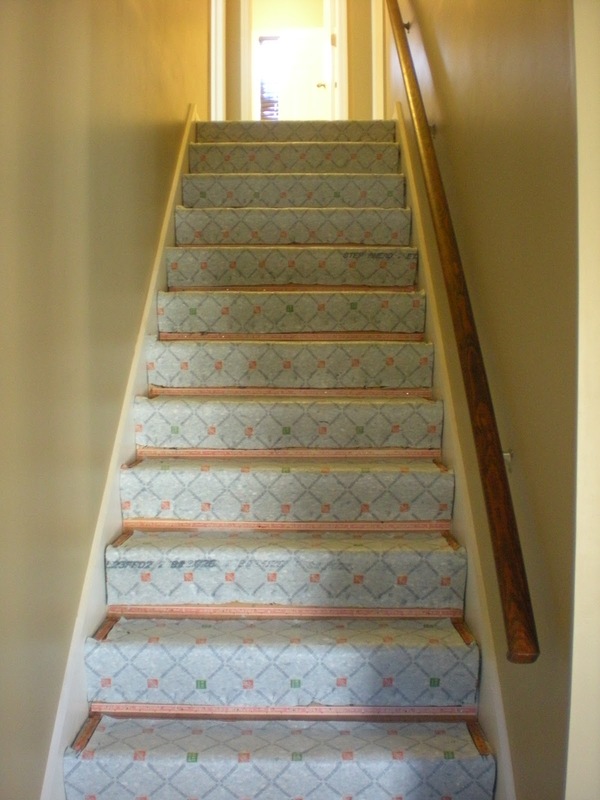 If you guessed carpet, you’re correct!! 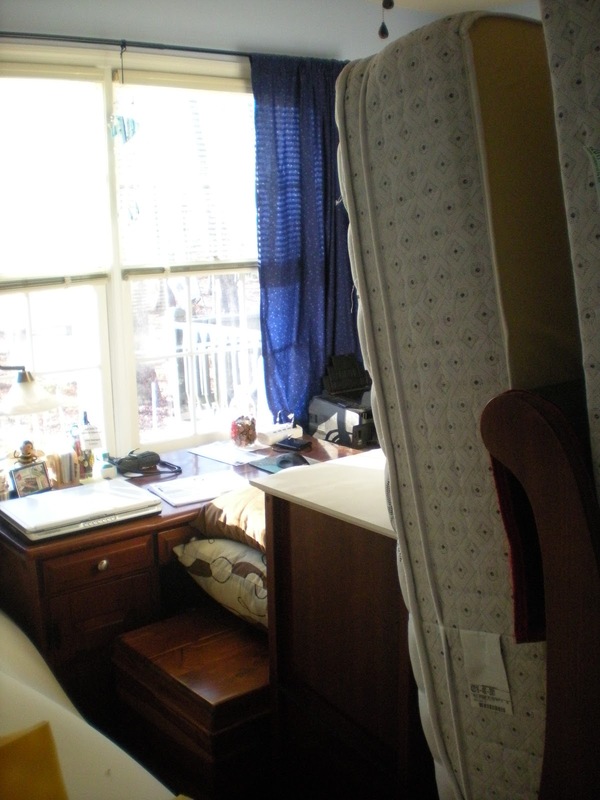 That’s almost all of our upstairs furniture crammed into the office- the only things that didn’t end up in there were our dressers, because we need to get into them for clothes. The office has actually looked this way since Thursday evening, even though they’re not installing until Monday- a friend of T’s came over and helped move all the heavy stuff downstairs after work. Why such an early move? 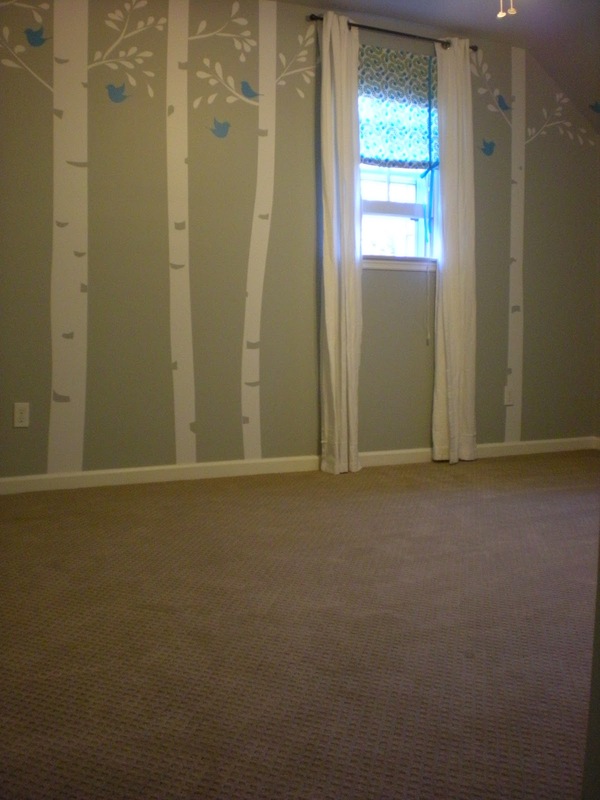 Well, this bedroom was the first room we I painted, and let’s just say I didn’t do a very good job. I was in a hurry and so there were some spots, mostly on the ceiling, that needed a second coat, but we didn’t want to do it without moving the furniture out- so we just dealt with it. The carpet install forced us to get into gear and finish those touch ups. Plus we had a couple of squeaky spots in the floor that needed to be fixed which got taken care of today too. We can hardly wait for the new carpet! Yup- more gravel shoveling. 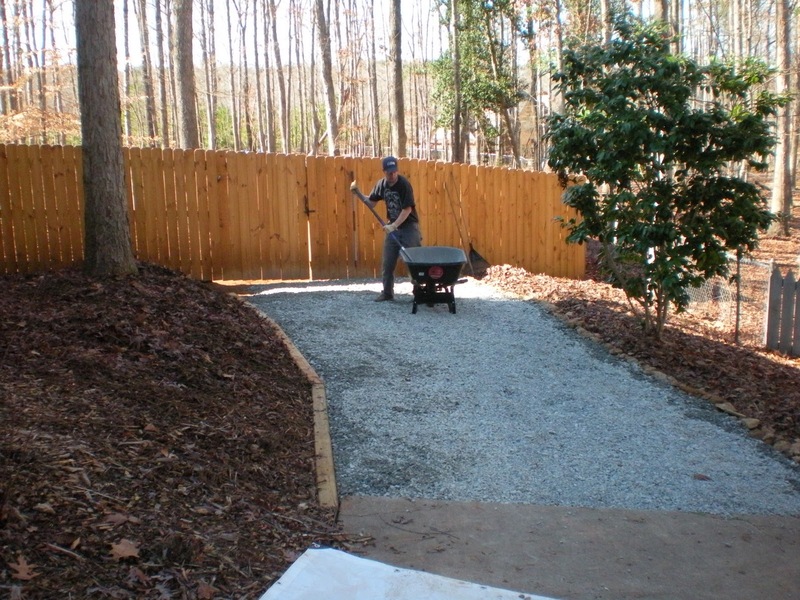 This is off our driveway and used to be dirt- we lined the right side with rocks from the yard and the left side with more landscape timbers that have been clear-coated so they match the fence. 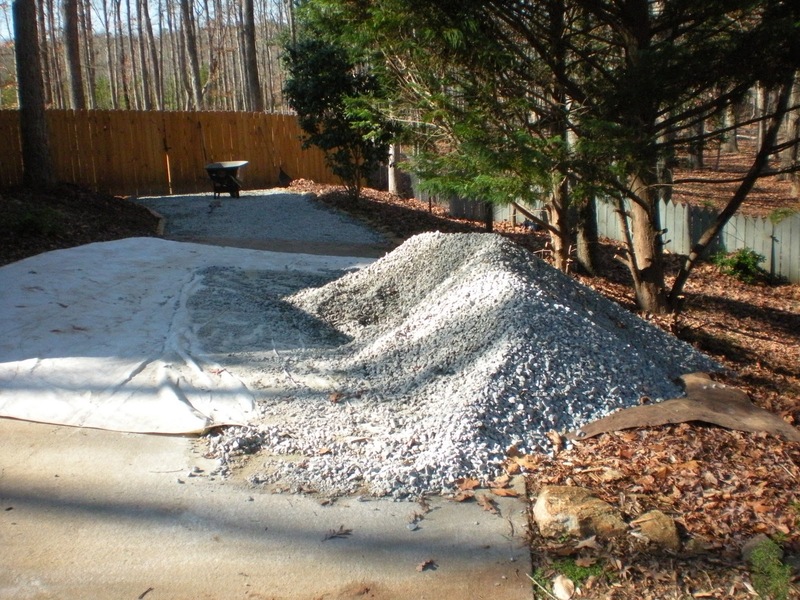 Here’s the current state of the gravel pile in the driveway- still quite a bit more to shovel! I also got my garden cleared out and fertilized because it’s time to plant! Yup, you read that right. I had a mini panic attack when I realized that it was time to get started, but I managed to get things cleared out and bought some cow manure to fertilize the spots of the garden that I’m planning on planting now. Last year I think I started a few cold weather crops too late and they suffered because of it- mainly my peas and broccoli. This year I’m determined to get some good yields, so I’m starting those now (along with some fava beans, carrots, lettuce and chard). If you want a handy website to visit- check out sproutrobot.com. You can sign up for weekly reminder emails on what to plant when- you just put in your zipcode and it tells you what you should plant for your area. You can also pay a fee and they’ll send you seeds when it’s time to plant them. Pretty cool. Phew- I think that’s all I’ve done this weekend. What have you been up to?